We believe that transparency is the key to any healthy relationship. At Fitbit, we’re all about healthy. We appreciate that you are trusting us with information that is important to you, and we want to be transparent about how we use it. Some information is required to create an account on our Services, such as your name, email address, password, date of birth, gender, height, weight, and in some cases your mobile telephone number. This is the only information you have to provide to create an account with us. You may also choose to provide other types of information, such as a profile photo, biography, country information, and community username. To help improve your experience or enable certain features of the Services, you may choose to provide us with additional information, like your logs for food, weight, sleep, water, or female health tracking; an alarm; and messages on discussion boards or to your friends on the Services. If you purchase Fitbit merchandise on our website, you provide your payment information, including your name, credit or debit card number, card expiration date, CVV code, and billing address. We do not store this payment information. We store your shipping address to fulfill your order. Note that third-party payment processors may retain this information in accordance with their own privacy policies and terms. Our live coaching services are a platform for you to communicate with a live health, fitness, or wellness coach (“Live Coaching Services”). Coaches may be provided by third parties, such as your employer or insurance company, or by our third-party coaching service providers. If you use our Live Coaching Services, we collect information about such use, including the plan, goals, and actions you record with your coach, your calendar events, communications with your coach, notes your coach records about you, and other information submitted by you or your coach. Your device collects data to estimate a variety of metrics like the number of steps you take, your distance traveled, calories burned, weight, heart rate, sleep stages, active minutes, and location. The data collected varies depending on which device you use. Learn more about the features of our various devices and how you can use MobileTrack. When your device syncs with our applications or software, data recorded on your device is transferred from your device to our servers. Using the information we collect, we are able to deliver the Services to you and honor our Terms of Service contract with you. For example, we need to use your information to provide you with your Fitbit dashboard tracking your exercise, activity, and other trends; to enable the community features of the Services; and to give you customer support. You may direct us to disclose your information to others, such as when you use our community features like the forums, 7-day leaderboard, and other social tools. For certain information, we provide you with privacy preferences in account settings and other tools to control how your information is visible to other users of the Services. Just remember that if you choose to participate in a challenge, information like your profile photo, posted messages, total steps in the challenge, personal statistics, and achievements, is not governed by your privacy preferences and will be visible to all other challenge participants. Accessing and Exporting Data. By logging into your account, you can access much of your personal information, including your dashboard with your daily exercise and activity statistics. Using your account settings, you can also download information in a commonly used file format, including data about your activities, body, foods, and sleep. We rely on multiple legal bases to lawfully transfer personal data around the world. These include your consent, the EU-US and Swiss-US Privacy Shield, and EU Commission approved model contractual clauses, which require certain privacy and security protections. You may obtain copies of the model contractual clauses by contacting us. 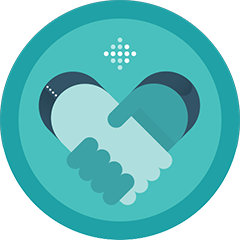 Fitbit, Inc. complies with the Privacy Shield principles regarding the collection, use, sharing, and retention of personal information as described in our Privacy Shield certifications. Learn more about Privacy Shield here.